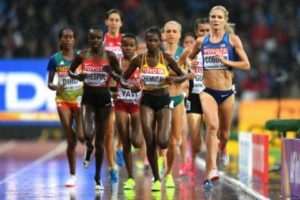 Uganda female steeplechase runner Peruth Chemutai on Friday night won a silver medal at the currently ongoing IAAF Diamond League games in Monaco, France at the Stade Louis 11. Peruth Chemutai’s heroics come barely a week after she bagged another silver medal at the 2018 IAAF (International Association of Athletics Federations) World U20 (Under-20) Championship in Tampere, Finland at Ratina Stadium. Still at the Finland show, Ugandan long distance runner Jacob Kiplimo also won a silver medal. However, games of similar nature (IAAF Diamond League) are also underway in London but Ugandan athletes are struggling to rise up that side. Chemutai emerged runner up at the women’s 3000m heat with a winning time of 9:17.08. ‘’It feels very good to win a silver medal. I am very happy,’’ Chemutai told the reporter after the race. Peruth Chemutai was second best to Kenya’s Beatrice Chepkoech who obtained a winning time of 8:59.36 to emerge first in the 3000m heat. Another Kenyan Rosefline Chepngetich also earned a podium finish but settled at the third position with a winning time of 19:17.08. 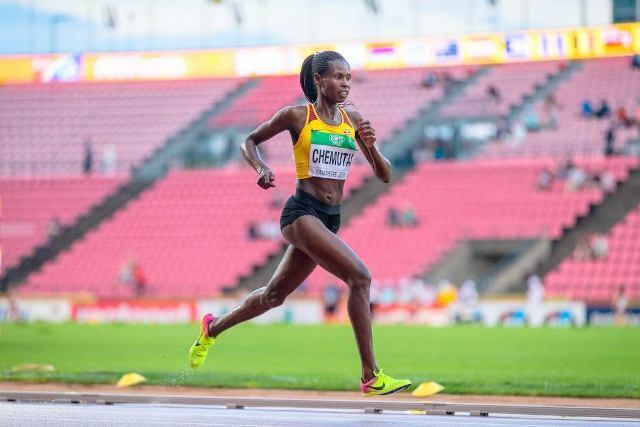 Chemutai, 19, started her career in 2013 but made her name known on the global stage during the 2016 Rio Olympics at the women’s 3000m steeplechase race when she got a winning time of 9:31.03 in the heats. In 2015, she won two silver medals during the 2015 Commonwealth Youth Games in the 1500m and 3000m heats. Congratulations from Flash Uganda media.